Where to sip fantastic cocktail creations with the best views of the city. 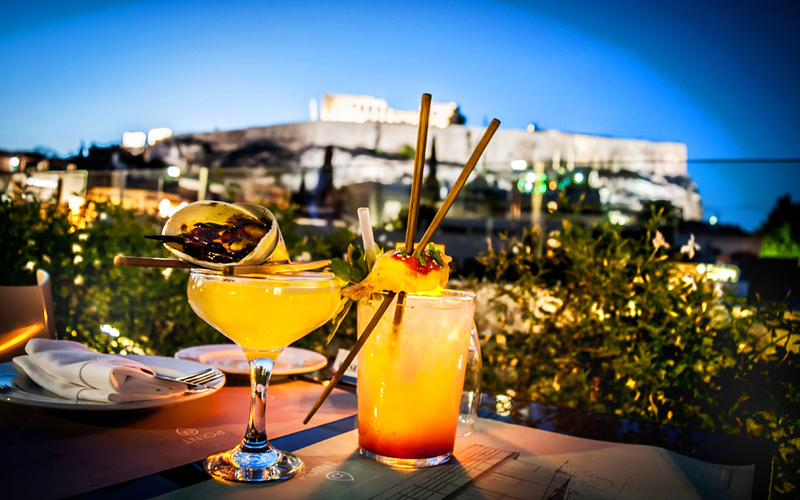 POINTα is the rooftop garden bar and restaurant of 4*Herodion hotel, boasting breathtaking views due its unique location – 289m from the Acropolis and 85m from the Acropolis Museum. The atmosphere is relaxed and elegant: comfortable seating, soft lighting, a wooden deck throughout the terrace, artwork by talented Greek artists scouted from the Technohoros and Eleni Marneri galleries – all enjoyed amidst the sweet fragrance of jasmines. 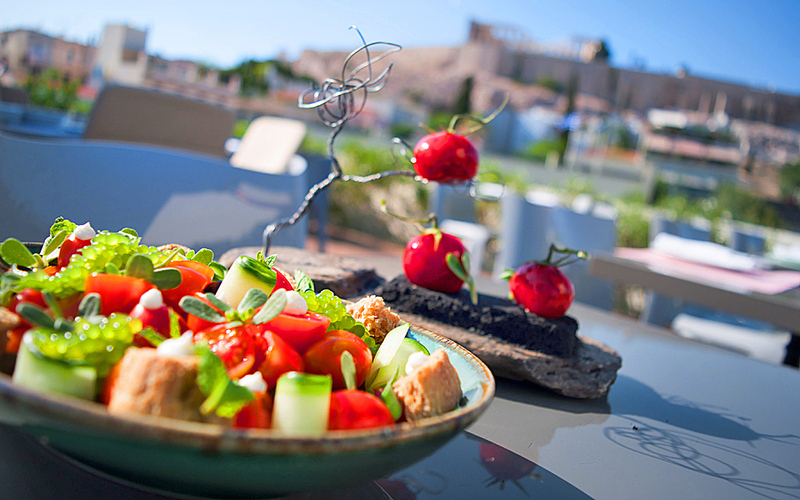 The sophisticated menu, by talented chefs Marios Pirpiridis and Manolis Mavrigiannakis, pays homage to Greek gastronomy and specializes in refined creative Mediterranean cuisine, based on top-quality ingredients from small producers and seasonal products. 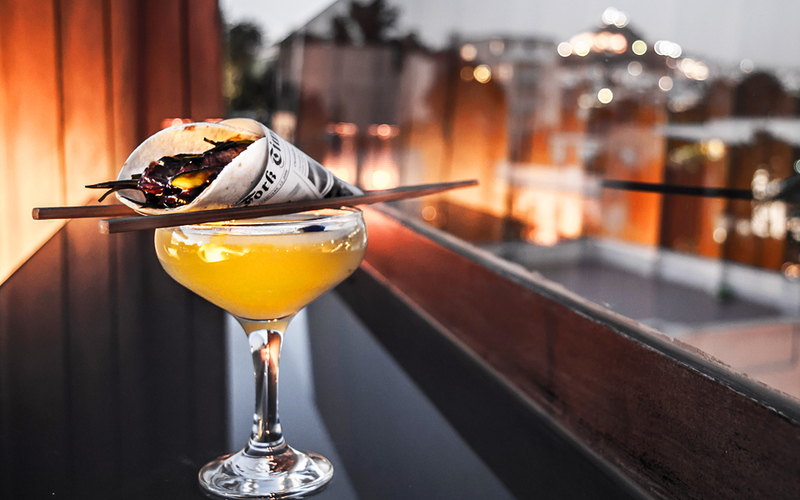 The bar, under the creative supervision of Lefteris Sofatzis, offers an extensive range of signature cocktails, which match the menu perfectly. 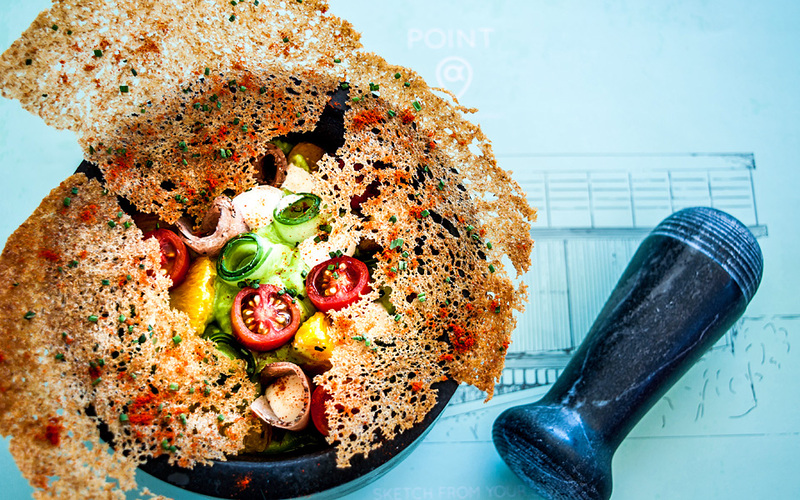 The newest venues, the freshest menus and latest trends.